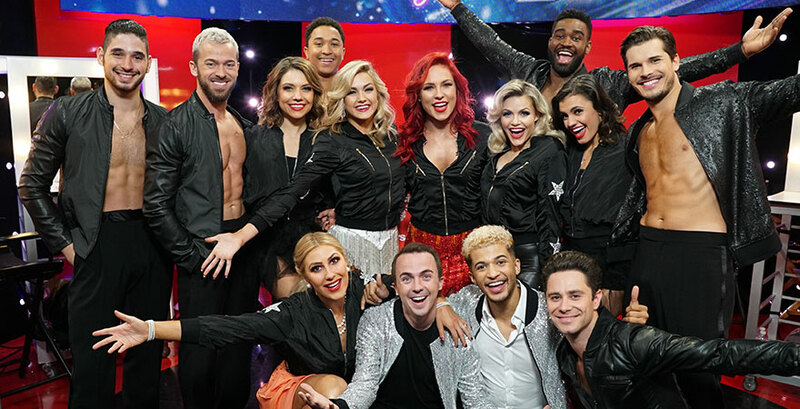 On Season 25 of Dancing with the Stars you were able to “enjoy even more sizzling salsas, sambas, and spray-tans as a brand new cast vies for the coveted Mirrorball Trophy!” Now a winner has been chosen and the cast of talented dancers is taking the show on the road in the Light Up the Night! Tour. Coming to The State on January 9 we are lucky enough to not only have Mirrorball Trophy winner Jordan Fisher of Hamilton fame but also third place winner Frankie Muniz of Malcolm in the Middle fame gracing our stage! Let’s review the “stars” season in preparation for this fabulous evening of dance. Francisco "Frankie" Muniz IV is an American actor, musician, writer, producer, race car driver and band manager. He is best known for playing the title character in the FOX comedy Malcolm in the Middle, which earned him an Emmy Award® nomination, two Golden Globe Award nominations, and The Hollywood Reporter's “Young Star Award.” On the feature side, he is best known for his work in My Dog Skip and playing the title role in the film Agent Cody Banks, as well as its sequel Agent Cody Banks 2: Destination London. Muniz also starred in the 2002 blockbuster Big Fat Liar, opposite Amanda Bynes and Paul Giamatti. He recently shot the lead of the independent drama feature The Black String, for director Brian Hanson. Apart from his love of acting, Muniz is also an accomplished race car driver, having competed in the Champ Car Atlantic Championship. He additionally has a passion for music and manages the alternative band Astro Lasso. Born and raised in the small town American Fork, Utah, Emmy®-nominated choreographer Witney Carson's dreams growing up were anything but small. As the oldest of four children, she took her first dance class at the age of three and danced her way through dozens upon dozens of classes, quickly developing her craft which would later become her career. She is trained in ballet, jazz, contemporary, hip-hop, lyrical, tap, Latin, and standard ballroom; and has competed and performed all over the world, garnering attention, awards and scholarships throughout her career. 2016 was a breakout year for multi-talented artist Jordan Fisher, whose talent clearly knows no boundaries, from TV to music to film and, most recently, Broadway. In January, Fisher's take as Doody in FOX's Emmy®-winning broadcast of Grease: LIVE earned him critical acclaim and was deemed the show's breakout star by MTV and PeopleMagazine. That spring, he released his first single, “All About Us,” which was produced by Oak Felder (Alessia Cara, Arianna Grande, Rihanna) and melded influences of pop/soul/R&B. The song was the #2 most added song and a top 30 hit at pop radio. In August, Fisher released his self-titled EP, which debuted #18 on the Billboard Heatseeker album chart. After performing on The Today Show, the ESPY's Red Carpet Special and opening for Alicia Keys at the Apple Music Festival, Fisher was tagged to perform the end title credit to Disney's hit animated feature film Moana with award-winning songwriter/producer Lin-Manual Miranda. Fisher, who has been called out by Miranda as "super-talented," saw a lifelong dream of performing on Broadway come to fruition when he joined the cast of Miranda's uber-hit Hamilton, where he took on the dual roles of John Laurens and Philip Hamilton. Season 25 will mark Lindsay Arnold's tenth season as a professional dancer on the show. Prior to Dancing with the Stars, she was a top four finalist and fan favorite on season nine of FOX's So You Think You Can Dance. Born and raised in Provo, Utah, Arnold began dancing at the age of four when her mom began searching to find a hobby that she enjoyed. After her first ballet and jazz dance classes, she was hooked and has been dancing ever since. By the age of eight, she found herself a ballroom partner and began entering competitions. With three younger sisters following in her footsteps and dance dominating the Arnold household, her mom decided to create an environment where all of her daughters could enjoy their passion and train together. She opened The Vibe dance studio in Lindon, Utah, where Arnold trained under head director Rick Robinson, and with some of the best teachers in the nation in a variety of mediums, including ballet, jazz, hip-hop, contemporary, Latin, and ballroom. Celebrity Trio Dances (Quarterfinals): Quickstep - "Chuck Berry"—Pharrell Williams AND Salsa - "Que Viva la Vida"—Wisin --> Corbin Bleu was the performer brought back to be part of their trio and they received 2 perfect scores! If this recap has gotten you even more fired up about seeing Dancing with the Starsdancers performing your favorites live then you should waltz, cha-cha, and salsa your way down to State Theatre New Jersey on January 9 at 8pm to see them all; along with Jordan Fisher and Frankie Muniz in the Light Up the Night! Tour!